How do you mend an injured heart? We don't yet know - but the answer likely is in how the heart builds itself - beginning in the developing embryo. In a study published in Cell Stem Cell, Australian researchers reveal findings from the most in-depth study to date of exactly how human stem cells become heart cells. Their work involves measuring change in gene activity in tens of thousands of individual cells. The upshot: an unprecedented resource that may help us find ways to repair our heart in the future. These findings were uncovered by researchers at the Institute for Molecular Bioscience (The University of Queensland) and the Garvan Institute of Medical Research. As humans, we have the capacity to repair some of our systems, but so far this is only observed in skin, liver, skeleton, and limb muscles. Unlike those, the heart does'nt have the capacity for self-repair after damage such as a heart attack. One reason why heart disease is the leading cause of death worldwide. "The big challenge, as we see it, is to uncover new approaches and new insights into ways to help the heart repair itself. If we can get to grips with the complex choreography of how the heart builds itself in the first place, we're well placed to find new approaches to helping it rebuild after damage." Nathan Palpant PhD, Institute for Molecular Bioscience at the University of Queensland, in Brisbane, Australia, who co-led the new research. 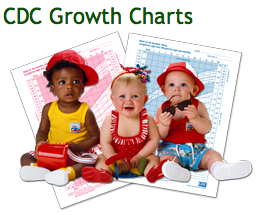 We think the answers to heart repair almost certainly lie in understanding heart development. To explore human heart development, researchers chose to mimic how a heart develops in the embryo. They started with skin-derived human pluripotent stem cells (aka: induced pluripotent stem cells) which are capable of giving rise to any cell type. Using cues from developmental biology findings, they guided the cells over time, into becoming heart cells (cardiomyocytes). Researchers next used cutting-edge technology on single-cell RNA sequencing to catalogue how individual cells change as they make the journey from stem cell to mature heart cell. Single-cell sequencing detects the levels of RNA 'readouts' within one cell at a given time. The more copies of RNA readouts (transcripts), the more active the gene from which RNA was transcribed. For each one of 40,000 individual heart cells, scientists measured activity for about 17,000 genes - essentially every gene active in the heart. This revealed gene-activity patterns unique to development of cardiac cells, vastly increases our understanding of how the heart builds itself. "The development of the heart is like an intricate dance. Each cell goes through its own series of complex, nuanced changes. They are all different, and changes in one cell affect the activity of other cells. By tracking those changes across the different stages of development, we can learn a huge amount about how different subtypes of heart cells are controlled, and how they work together to build the heart." Joseph Powell PhD, Institute for Molecular Bioscience, The University of Queensland, Brisbane; and Head of the Garvan-Weizmann Centre for Cellular Genomics, Garvan Institute for Medical Research, Sydney, Australia. Using this new resolution of information about heart development, the team made a new discovery that the gene known as HOPX is essential for controlling how the heart grows bigger - a process known as hypertrophy. HOPX functions like a toggle switch to control a critical decision point in heart development: the change from heart cells that are 'immature' (still dividing), to heart cells that no longer divide, are bigger and are more mature. This finding will help researchers learn more about the processes underlying congenital heart disease (when the heart does not develop properly) and may provide a new strategy for controlling heart regeneration. "We can start to look deeper and more carefully at how the heart develops," says Nathan Palpant. "The information we've gained from this work has positioned us to take on new and bigger questions in cardiovascular disease." Joseph Powell adds: "We are now building on the knowledge gained from this work to investigate at what stages during heart development, and in what cell subtypes, the genetic risks of cardiovascular disease become most dangerous." Cardiac differentiation of human pluripotent stem cells (hPSCs) requires orchestration of dynamic gene regulatory networks during stepwise fate transitions but often generates immature cell types that do not fully recapitulate properties of their adult counterparts, suggesting incomplete activation of key transcriptional networks. We performed extensive single-cell transcriptomic analyses to map fate choices and gene expression programs during cardiac differentiation of hPSCs and identified strategies to improve in vitro cardiomyocyte differentiation. Utilizing genetic gain- and loss-of-function approaches, we found that hypertrophic signaling is not effectively activated during monolayer-based cardiac differentiation, thereby preventing expression of HOPX and its activation of downstream genes that govern late stages of cardiomyocyte maturation. This study therefore provides a key transcriptional roadmap of in vitro cardiac differentiation at single-cell resolution, revealing fundamental mechanisms underlying heart development and differentiation of hPSC-derived cardiomyocytes. Clayton E. Friedman, Quan Nguyen, Samuel W. Lukowski, Abbigail Helfer, Han Sheng Chiu, Jason Miklas, Shiri Levy, Shengbao Suo, Jing-Dong, Jackie Han, Pierre Osteil, Guangdun Peng, Naihe Jing, Greg J. Baillie, Anne Senabouth, Angelika N. Christ, Timothy J. Bruxner, Charles E. Murry, Emily S. Wong, Jun Ding, Yuliang Wang, James Hudson, Hannele Ruohola-Baker, Ziv Bar-Joseph, Patrick P.L. Tam, Joseph E. Powell, Nathan J. Palpant. The study was made possible by generous support from the National Health and Medical Research Council, as well as Australian Research Council Discovery Project support and a special research initiative (SRI) to Stem Cells Australia. IMB is a multidisciplinary life sciences research institute. Our 500 scientists use world-leading infrastructure to drive discoveries from genome to drug design, disease discovery application and sustainable futures. Our research is framed through centres focused on superbugs, pain, heart disease, inflammation, solar biotechnology and the genomics-disease interplay. Developed by the Garvan Institute of Medical Research and the Weizmann Institute of Science, and launched in 2017, the Garvan-Weizmann Centre for Cellular Genomics is one of the few sites internationally where state-of-the-art technologies in cell handling, genomics and bioinformatics, along with the talented experts who can innovate to make best use of them, are brought together under one roof. The Centre's groundbreaking research is exploring how individual cells impact some of our greatest health challenges including cancer, autoimmune disease and neurodegenerative disorders. Construction of the Garvan-Weizmann Centre for Cellular Genomics was made possible by vital investment from the NSW Government, Mr John Roth and Ms Jillian Segal AM, Mr and Mrs Laurie and Di Sutton, and The Johnny Kahlbetzer Family. 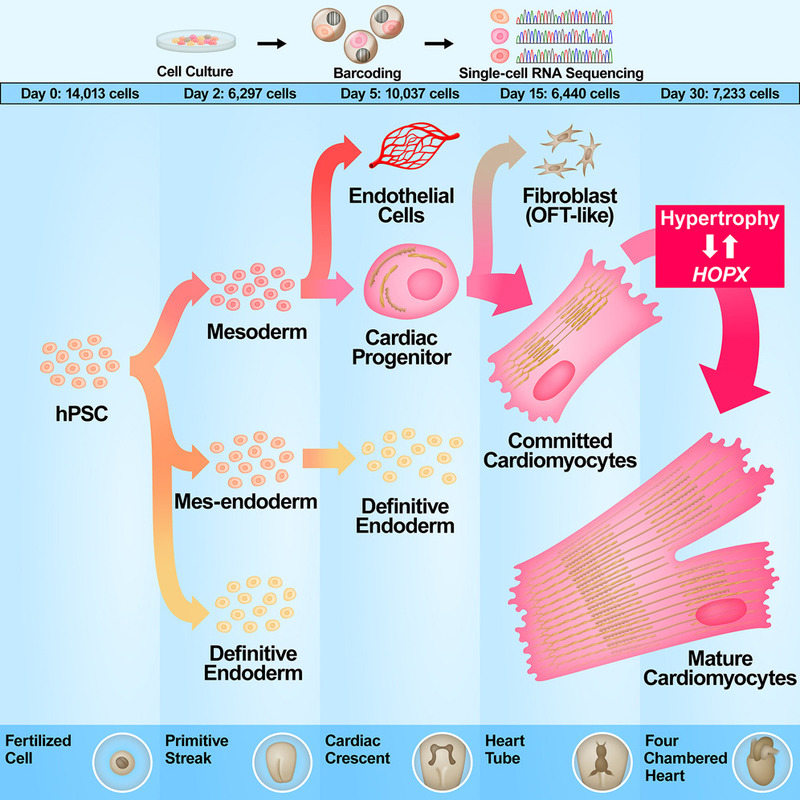 hPSC: Human Pluripotent Stem Cells as they migrate past the primitive streak phase to develop into varying forms of cardiomyocytes - also known as myocardiocytes or cardiac myocytes - the muscle cells (myocytes) making up our heart muscle. Image: Cell Stem Cell and authors.